You probably know by now about our new MedSpa Services, including laser skin therapy and laser hair removal. We also want you to know that here at INTERLOCKS, we use only the best, safest, and most effective laser devices in the industry, and those are from Cutera. Besides offering the most innovative products, they also provide valuable educational resources for businesses that own them. 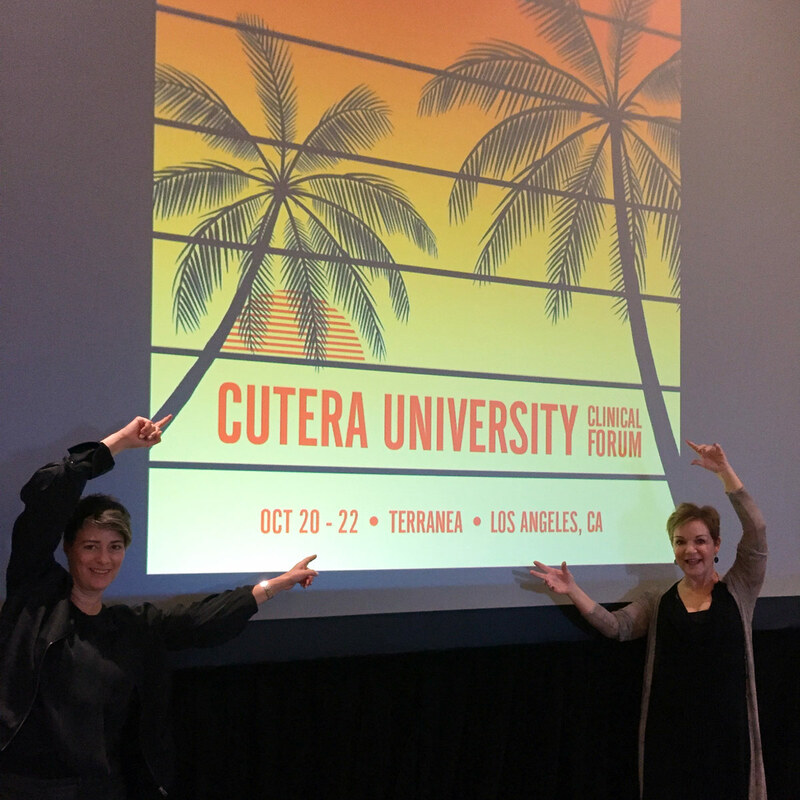 They call this Cutera University, and naturally we attended the latest exclusive event in California! I enjoyed having dialogues with physicians and nurses who are experts in the MedSpa field. The clinical advances are immense and I’m sure new options lie ahead to reverse the signs of aging, and to liberate clients from acne and scarring. Read on to hear more from our team that attended, then join us at our official MedSpa Grand Opening celebration. Meet the MedSpa team, enjoy hors d’oeuvres and live music, learn more about our new services, and receive exclusive offers and giveaways. 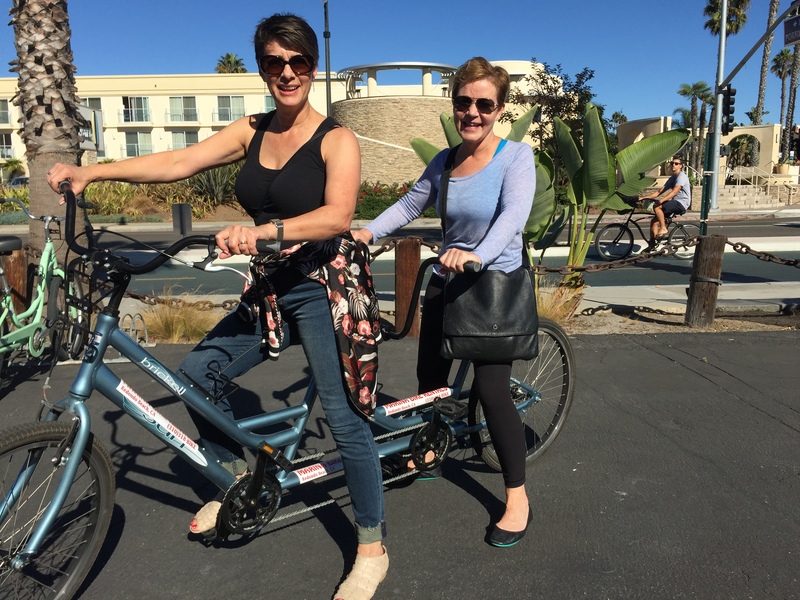 INTERLOCKS Owner Ginny Eramo: I learned about 1,000 things! But my biggest take away was that the XEO device, with 4 different lasers, is the #1 rated device in the industry… and we have it! INTERLOCKS Director of MedSpa Operations Lee Ann Collins: I learned more about how far lasers have come over the years and how amazingly they can help clients with skin conditions. 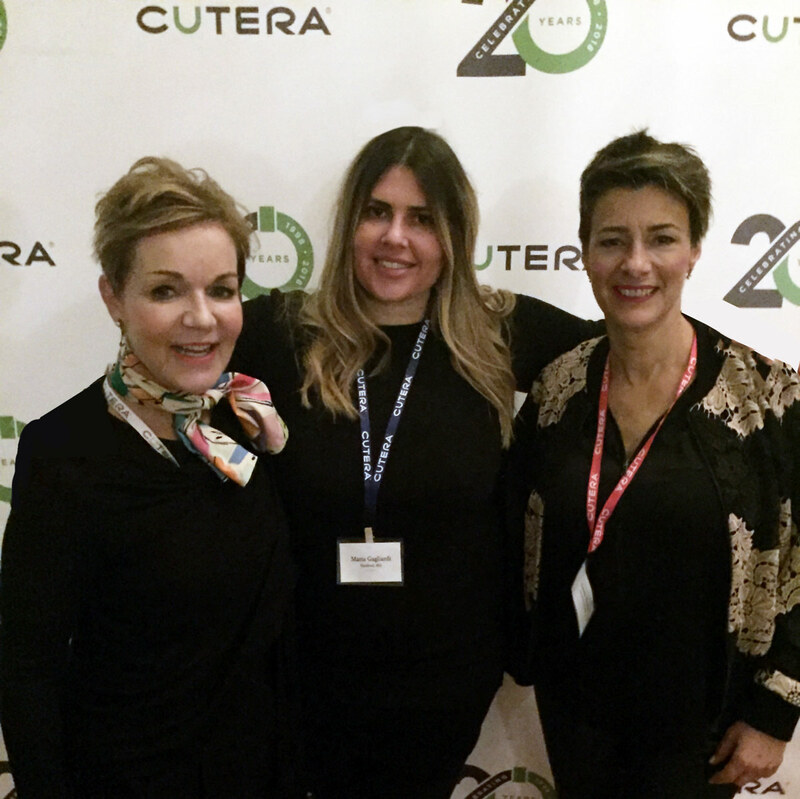 INTERLOCKS Nurse Injector Maria Gagliardi: One of the takeaways from the event was combining topical products with laser treatments to more effectively treat skin conditions, such as Rosacea. Were you inspired by anything? Ginny: Laser skin therapies have the ability to solve skin problems, such as acne, redness, or wrinkles, without any down time. It’s no longer necessary to endure aggressive peels, and other treatments, to restore skin health. Lee Ann: I was inspired by how these lasers can help relieve so many patients of unwanted skin conditions that they no longer have to live with thanks to new laser technology. It is allowing people to feel more confident and beautiful from the inside out. 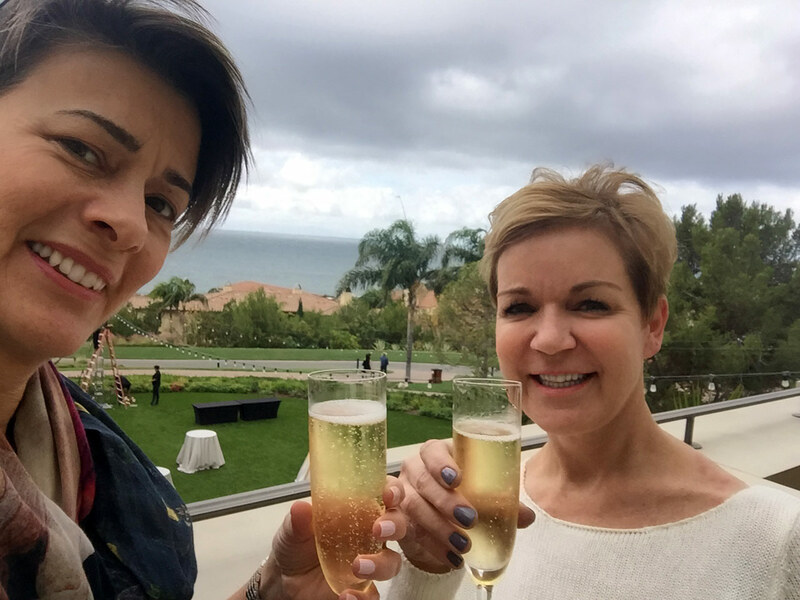 Maria: It was inspiring to connect with other aesthetic practitioners who share the same interests, while keeping the discussion going about safe and effective treatments . Education is imperative for growth and it was definitely a strong advantage to be in attendance. The case studies presented was insightful for treatment planning. How will that knowledge or inspiration impact INTERLOCKS clients? Maria: Being able to combine modalities with our clinical skincare line and cosmetic injectables will only strengthen the results we are able to achieve at INTERLOCKS. I feel honored to be part of a team that all share a common interest in such a high level of standards. Ginny: We will definitely be adding more laser equipment to expand our laser services. Lee Ann: Our team will continue with advanced training and learning new techniques to improve patient needs. Ginny: I’m excited to officially launch our MedSpa and introduce our team at our Grand Opening Event on November 16th!